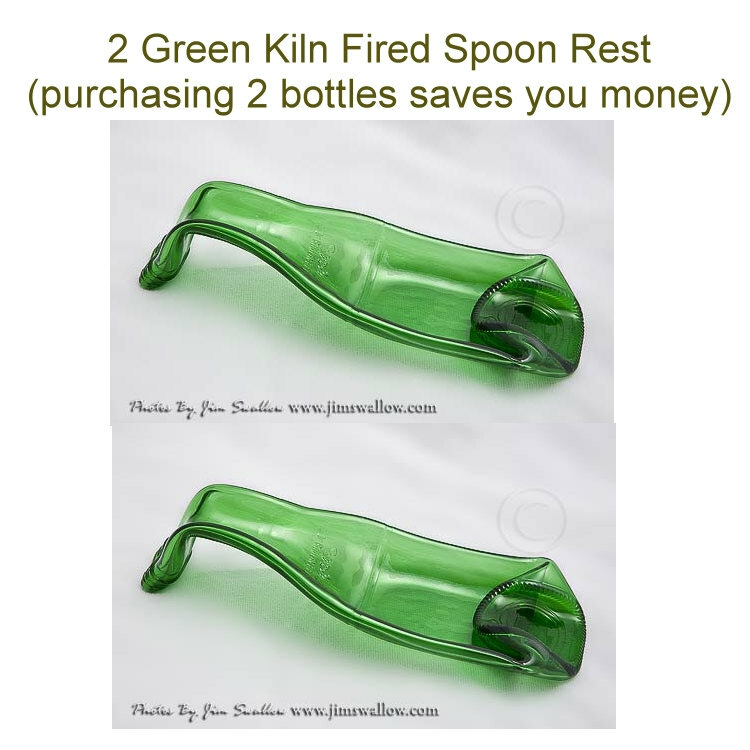 2 Green Kiln Fired Glass Bottle Spoon Rest for Stove Tops This beautiful glass bottle spoon rest is a great addition to any kitchen. Its light weight and easy to clean. The best part is, it helps you keep the stove top from having baked on messes. This glass bottle spoon rest measures approximately 3 inches wide and 8 1/4 long (spoon does not come with the spoonrest), its only there to show you how to use. This glass spoon rest is a very functional item that everyone can use. And it will fit any décor, home or office. Keep some on hand for quick & easy gift giving. You can use these for any occasion. They make great birthday gifts - for that person that has everything, or a nice party gesture for friends and family members. The best part is that you are helping America stay green, by keeping recyclable material out of our land fills and keeping me employed. This spoon rest can also be used if you can believe this, as a cigar holder, or pipe holder, and candy dish including lolly pops.